Home > Fireplaces > Zero Clearance Fireplaces > Empire Breckenridge VFD42FB0F Deluxe Vent-Free Flush Gas Firebox - 42"
This 42" flush firebox is for use only with vent free gas log sets. The unit is light and installs easily. The hem-bent seams eliminate the use of screws and fasteners that may work loose over time. The matte black hood is included as standard equipment. It will accommodate most 30" vent free log sets and no chimney installation is required. The required framing dimensions are 35 3/4" H x 44 1/2" W x 18 3/4" D and the unit's specifications are 35" H x 44" W x 19" D. It has a 5-year limited warranty. This is just a firebox, so the BTU output will depend on what log set you install with it. How tall is the opening? The opening of this firebox is 24 1/4" tall. 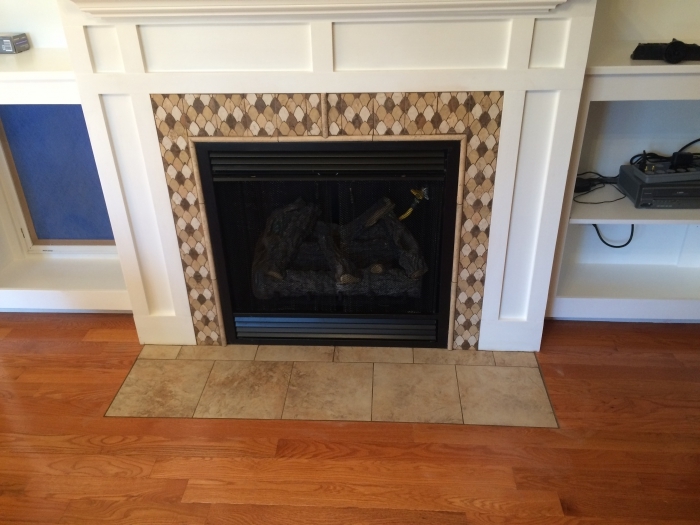 Is this a zero clearance fireplace? This is indeed a zero clearance firebox. Does this require a blower for installation? 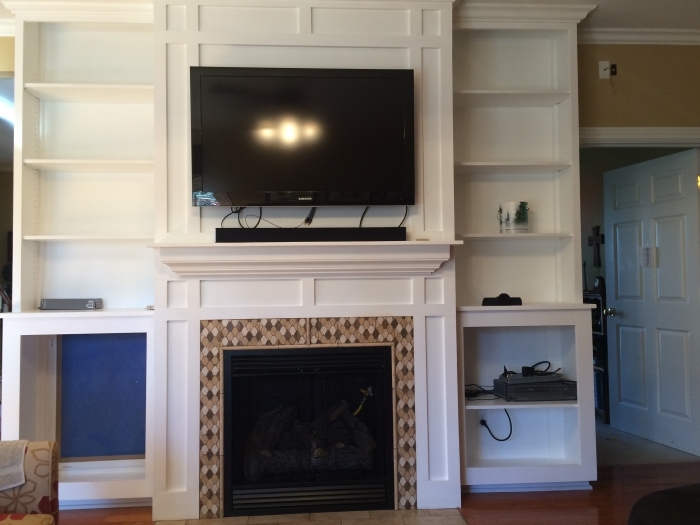 Are there additional parts needed for installation that are not included with the this firebox? No, none of the Breckenridge vent-free fireboxes require a blower; this is an optional accessory that can be added if desired. 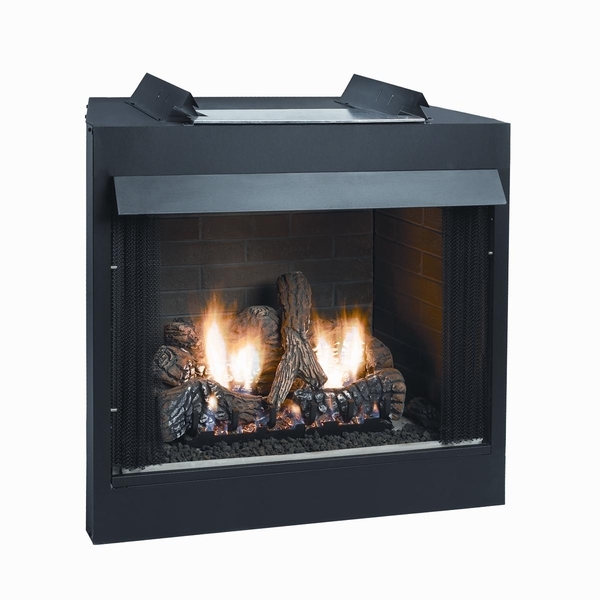 None of the Breckenridge units require any additional parts for safe operation of a suitably-sized ventless gas log set, apart from the burner/log set you choose to install inside it, of course. Does the unit come with the log set? No, this item is the firebox only, a ventless gas log set must be purchased separately. How much does this product weigh? Is the hood removable? The firebox weighs about 100 pounds and the hood should not be removed. What color is the inside of the firebox? Can a liner be added later? Are doors required? Can doors be added later? The inside of the firebox is painted black. It is not recommended to be used with out a liner. The liners and "doors" can be changed/added at any time. What are the inner dimensions of this box? The dimensions for the inside of this firebox, without a brick liner installed, are 32" wide at the front, 25 3/16" wide at the back, 14 1/8" deep, 22" high at the front, and 18 11/16" high at the back. Is this unit painted or powder coated? Does this firebox come with the brick inside? No, the brick panels are not included with this firebox. You can find the brick panels in the accessories tab beneath the item picture.